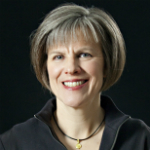 Susan Bristol is an architect and professional planner and is LEED certified in green design. Her work has ranged from regional-scale planning and community design to small structures and residential projects. She is a native of New Jersey and is recognized as a resilient design professional who has contributed to Hurricane Sandy recovery efforts. Design excellence and critical thinking are at the core of her professional and educational activities. Ms. Bristol has served as an adjunct instructor at the NJIT School of Architecture & Design, and has created the Garden State Studios to integrate her professional and academic research while addressing resiliency and sustainability on environmentally compromised sites.